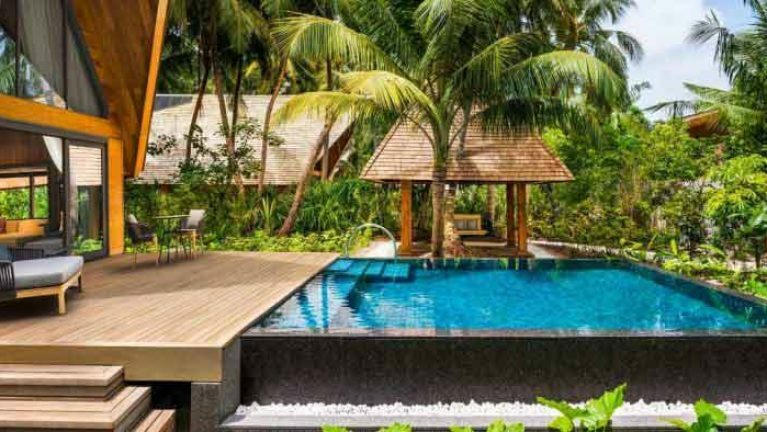 St Regis Maldives Free Nights Offer – Stay 7 Pay for 6 Nights Only. Stay 14 Pay for 12 Nights Only. Additional 10% Discount on Room Rates. USD 100 F&B Dine Around Credit Per Adult Per Day. Up to 2 Kids Stay & Dine Complimentary . Offer is not Combinable with any other offers except Honeymoon Offer. Offer is non refundable and cannot be exchanged with any other facilities or services.